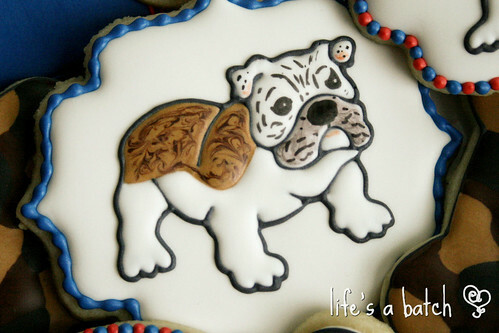 When I first received this particular cookie request, Christine said she needed cookies for a baby’s 1st birthday. I was thinking of Sesame Street and Mickey Mouse, or bright primary colors and baby animals. I asked her for a theme and possibly even some pictures of her baby for inspiration. 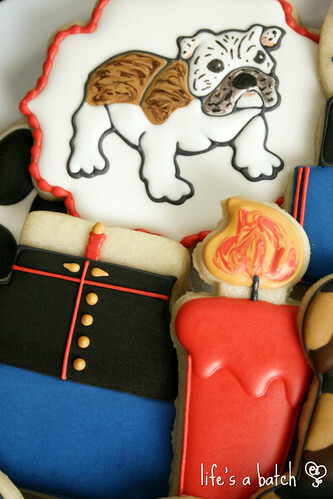 Imagine my complete & utter surprise to learn that the theme was “Marines,” and that the baby was a bulldog puppy named Chesty! 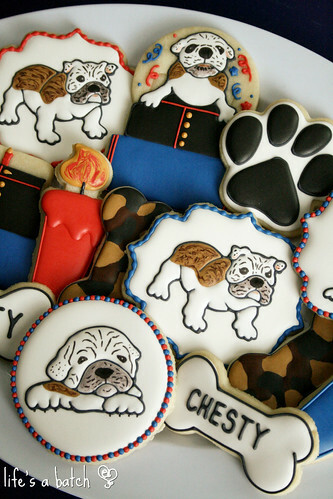 (Yes, after the Marines’ official mascot, Chesty.) Well, that required switching gears, for sure! 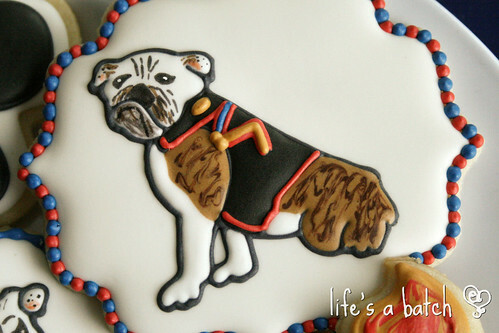 I did my best to make Chesty come alive with icing… and that was tricky since I don’t know much about dogs either! (Cats are a different story, ha.) And Christine sent me a picture of her puppy, so I incorporated that in a special way – with Chesty popping out of a birthday cake! 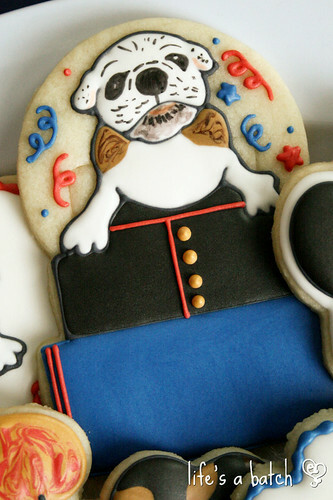 And then, by very specific request, Christine wanted a cookie with Chesty wearing a Marines uniform – just like in this official photo. I did my best! Now, the cake cookie is missing a tiny detail that packs a big punch. I didn’t even realize it until I was taking photos of the cookies, and by then, it was too late. 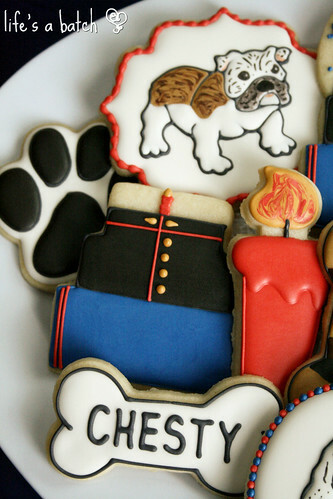 But look at the uniformed cookie dudes in THIS POST, and then tell me that it doesn’t look a bit “off” without the belt?! To finish out the set, I added a few personalized bones, some camouflage bones, and a couple of paw prints. 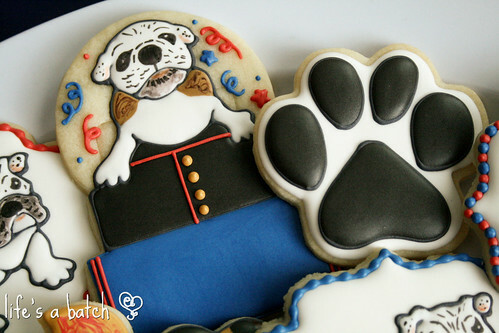 So… a Marine/Puppy/Birthday ccookie set. And that wraps up what was definitely the most “unique” cookie request I received from 2013! Wow – that was a surprise – but nothing is too much for you. Whenever I see your cookies they’re so perfect they don’t even look real. 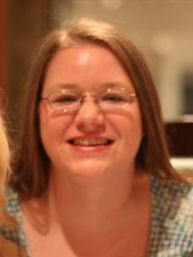 There’s just nothing I can say to reflect my pure amazement. Everything is absolute perfection! You certainly set the bar high! 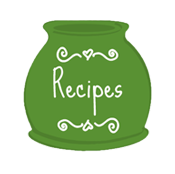 Thanks for posting these – they are awesome. 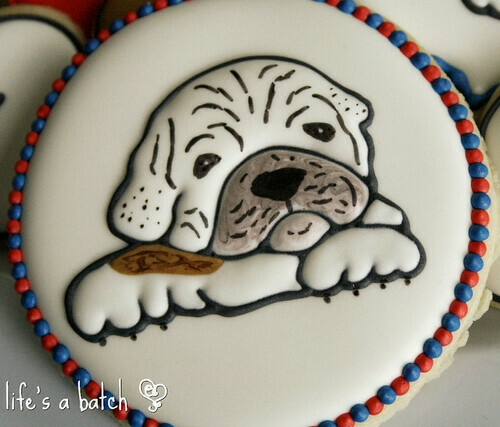 Chesty’s Birthday cookies are just as stunning as Jacob’s graduation cookies. 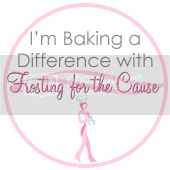 Coming out of the cake or standing alone, you did make Chesty come alive!